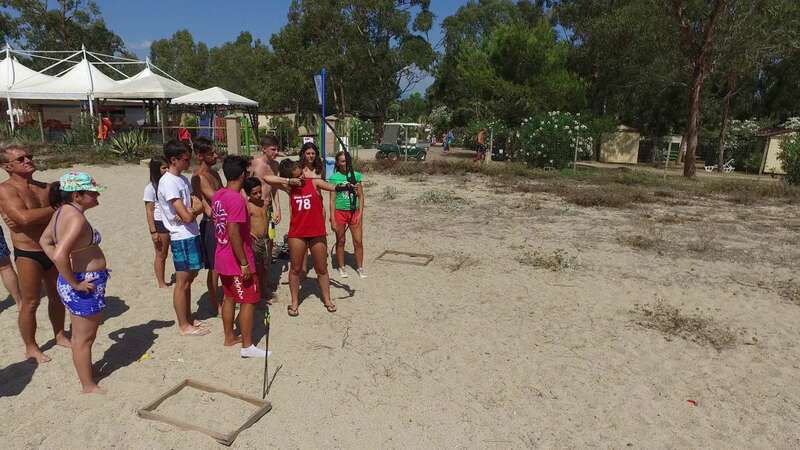 For sport lovers, the Sos Flores Village Campsite includes numerous facilities and all the equipment required. 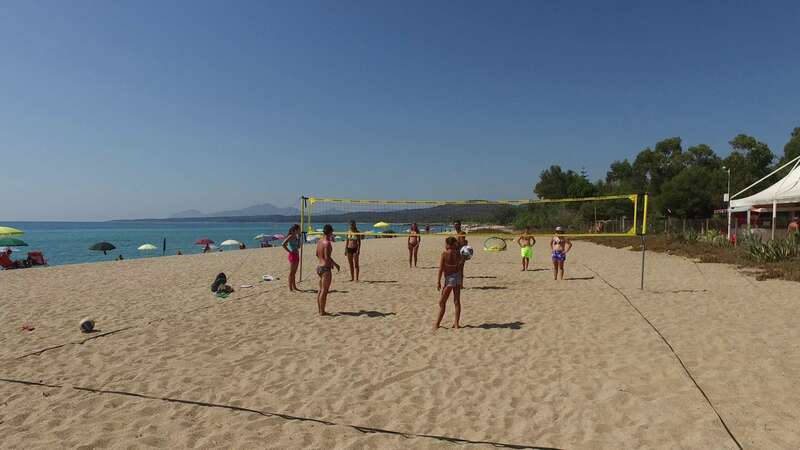 Tennis court and 5-a-side floodlit soccer pitch, beach volleyball and beach soccer pitches, as well as table tennis, table football and archery. San Gemiliano beach also provides opportunities for various water sports, including diving and canoeing. Bike hire is also available for cyclists. Our entertainment staff organize fitness and aquagym lessons every day.